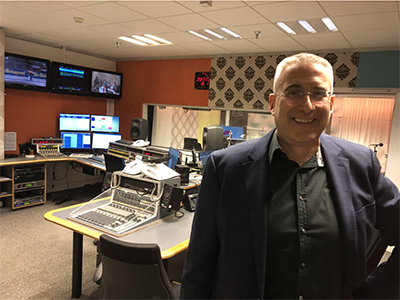 Wittenborg University of Applied Sciences was commended on the Dutch public broadcaster NPO Radio 1 for its “innovative” approach to education and for successfully creating a truly international institute of higher education where different cultures are celebrated. 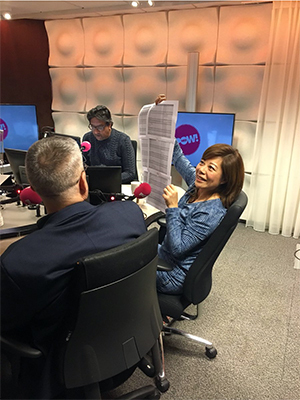 Wittenborg directors Maggie Feng and Peter Birdsall were interviewed on NPO 1 Radio on Monday morning, talking to presenter Prem Radhakishun who is a well-known political commentator and public figure in the Netherlands. And not only Radhakishun, but also his listeners were impressed by what Birdsall and Feng have created in just over 10 years: running an institute with over 700 students, of whom 89% are international, at 3 locations in Europe. “You are basically making the world a better place,” Radhakishun said. Radhakishun also reminded his listeners of the financial contributions that international students make to the Dutch treasury and how they enrich the local culture. One Dutch caller said he believes the mentality of international students is higher than that of Dutch students. Radhakishun added that the drive to succeed is higher among internationals. Prem Radhakishun met Feng and Birdsall at this year's 'Ethnic Businesswoman of the Year' (EVZN) Awards Gala, at which Maggie Feng was announced runner-up. Radhakishun himself received the 'Presidents Award' in 2016 for his commitment to EVZN as an advisor. 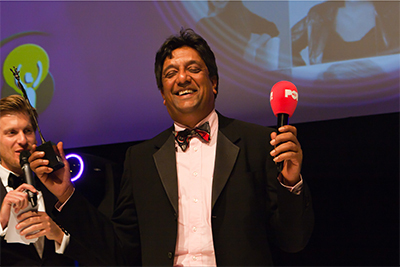 He himself presented the awards gala five times in the past.